This fall, we have received two really innovative products. 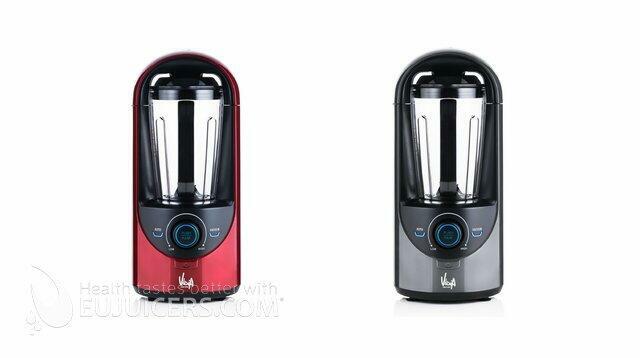 The Vidia vacuum blender is the first blender to use vacuum technology to dramatically reduce oxidation. 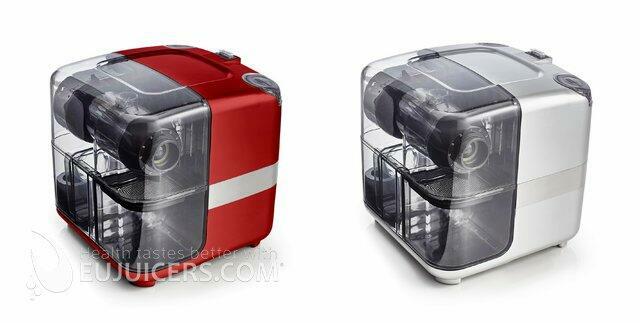 The Omega Juice Cube reshapes the traditional slow juicer into a compact and futuristic design. According to the manufacturer, vacuum blending makes a significant difference in the taste, color, and consistency of blended produce. We were curious to see if this is really the case, or just marketing hype. We tested the Vidia blender with apples, bananas, and tomatoes to see if we could notice a difference when blending in a vacuum. The results really surprised us! We put two apples and enough water for blending into two Vidia vacuum blenders. The apples on the left were blended using the vacuum, while the apples on the right were blended without the vacuum. It was clear that vacuum blending significantly reduced oxidation, improved color and consistency, and gave much sweeter and flavorful results. We found the Vidia blender to be an amazing device for making smoothies and liquid mixtures like baby food, sauces, and sorbet. On the other hand, it isn't designed for dry materials like flour or nuts, so if you are looking for a universal blender that can do those things as well, the Vidia is not the best option. We have a detailed review in our e-shop. The Vidia vacuum blender also comes with a portable vacuum bottle that attaches to the blender and quickly removes the air. So you can take your smoothie or any liquid with you and be sure that it stays fresh. The Vidia vacuum blender is now available in red and silver for €369. The new Omega Juice Cube takes Omega's proven horizontal juicer technology and radically redesigns it. When not in use, all the parts store neatly into a compact cube. We thoroughly tested it and found it to function well, but with some small compromises made to create this shape. Read our review of the Juice Cube in our eshop. It also includes a homogenizing screen for making nut butters, pasta, and other mixed ingredients. Available in red and silver for €399.